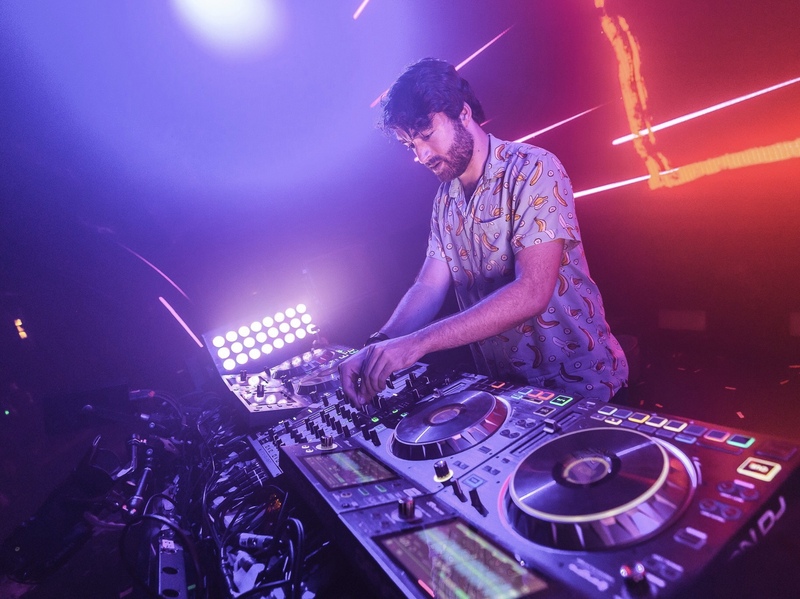 After much highly-awaited anticipation, New York City finally got the opportunity to experience Oliver Heldens’ special ‘Heldeep 250’ appearance at the grandiose Avant Gardner this past weekend. There could not have been a better way to commemorate his 250th episode of Heldeep Radio than with a live broadcast show right here in the big apple. As his current North American tour celebrates five strong years of his self-made radio show, this particular Brooklyn stop surely turned out to be one of the most striking house-infused festivities to date. The event sold out weeks before its set date, and after experiencing live in action there’s no doubt as to why this was the case. The night started off with support from some pretty special guests and dynamic electronic artists Tommie Sunshine, Drezo, and GTA, all of which delivered their own uniquely superb sets to get the crowd hyped up for Heldens’ grand appearance. The astonishing amount of energy that filled the venue was absolutely striking from the get-go, and once Heldens took over the stage it was all set and done. Oliver Heldens’ consistent high-spirited energy always lights up the atmosphere no matter where in the world he may reside, and it was clear that he was just as thrilled as us to be commemorating such an exciting milestone in his career during this special ‘Heldeep 250’ appearance. He greeted his fans that resided in what made up one of the most massive Avant Gardner crowds to date in the most humble yet stirring way, adding even more vibrant energy to the room than there already was. His set started off with a vocal-less version of “The Right Song” with Tiësto -completely intensifying the crowd as if all of us weren’t thrilled to begin with – and the rest was history. Because this particular show was so significant, Heldens’ mixing skills and smooth-progressing transitions from track to track were absolutely impeccable. His nearly two-hour set consisted of both old and new tracks alike, emphasizing those original bangers that made him who he is is today more and more as the night proceeded. Some oldies like “Gecko (Overdrive)” and “You Know” with Zeds Dead had the crowd absolutely wild, but some fresh ones like his remake of Calvin Harris’ “One Kiss” featuring Dua Lipa and “Fire in My Soul” had us all on our toes just as much. Heldens also dropped some of his HI-LO alias tracks such as “Renegade Mastah” and “Alien Technology.” After all, the HI-LO side of him was always in the picture as Heldeep Records and Heldeep Radio was just on its way to becoming as substantial as it has today. Truly a night to remember, ‘Heldeep 250′ in the city that never sleeps was everything we expected and more. From the vibes to the music that played throughout the night’s entirety, Heldens’ fans both present and in spirit could not have been any more proud of such an incredible accomplishment. What an extraordinary way to celebrate one of the most electrifying music producers in the dance music world! Oliver, thank you for simply being you and giving us the chance to feel inspired and uplifted while celebrating your success with your groovy, future-house infectious live sounds.